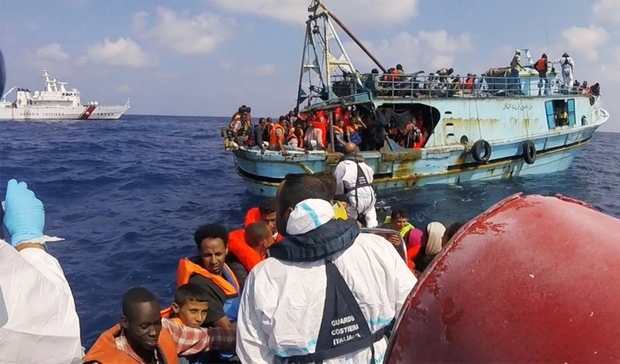 Italy has appealed to NATO for greater help in tackling illegal immigration from North Africa, especially Libya, with its new government saying the country was “under attack” from the south. E.U. rules mean migrants must apply for asylum in the European country where they first arrive, putting pressure on Italy and Greece, the entry points for hundreds of thousands of people fleeing war and poverty in the Middle East, Africa and Asia since 2015. “We cannot not have closer cooperation between NATO and the European Union in the Mediterranean and elsewhere,” Prime Minister Giuseppe Conte said after meeting NATO chief Jens Stoltenberg. Italy’s new government formed by the anti-establishment M5S and anti-immigration League parties considers the Mediterranean the E.U.’s “southern flank” and has sounded the alarm on immigration saying terrorists could sneak into Europe and wreak havoc. “NATO’s engagement in the south constitutes an important component of its strategy shift,” he said, after meeting with Stoltenberg. The first to lead the charge was Interior Minister and League chief Matteo Salvini who has continued with his anti-migrant rhetoric since taking charge. The summer of 2016 saw a surge in mass drownings in the Mediterranean as Europe’s worst migration crisis since World War II peaked with hundreds of thousands of people fleeing war and poverty in the Middle East and elsewhere. Migrant Containment at all Costs: What is Left of European Humanity?